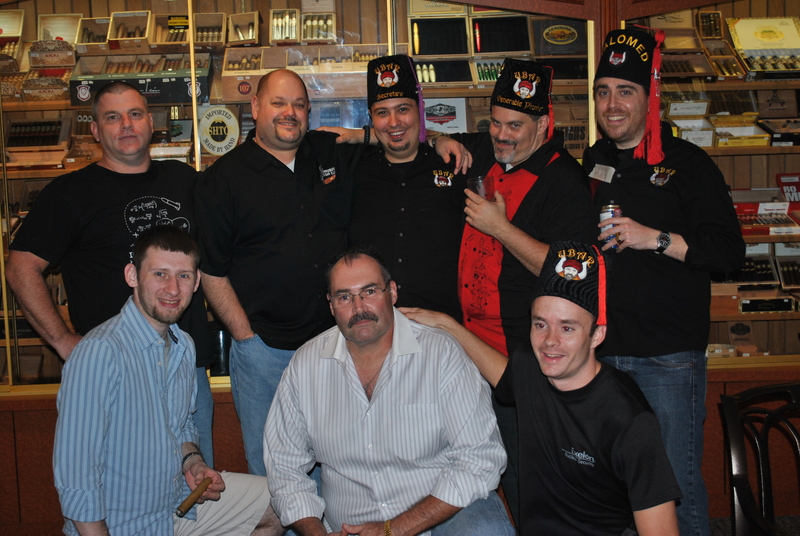 On Saturday, August 24, 2013, Ubar Grotto held its first Master Mason Night at D&S Cigar Lounge in Lancaster, PA. This event was open to all Master Masons, with food and beverages covered by the Grotto as a thank you for those who labor for the craft in Central Pennsylvania. Prophets and prospective members flowed in throughout the night, with close to 40 persons in attendance during the event. At the end of the night, the Secretary had received 7 petitions for membership, which makes for 11 candidates so far for the October Ceremonial! In an effort to display the true meaning of Grotto, Pro. George Hindson, Monarch, made an impassioned plea to the members and guests after telling of the recent tragedy that befell Pro. Rick Gillardy, who was gravely injured in a traffic accident. More than $300 was collected, which will be used to purchase gift cards to restaurants around the hospital where Pro. Gillardy is staying, so that his family can dine out without worry and be near his side. All present were impressed with this display of support for a Brother and Prophet in need. We’d like to thank everyone that came out for the event and we look forward to having a large class of suckers… er… new Prophets in the fall!